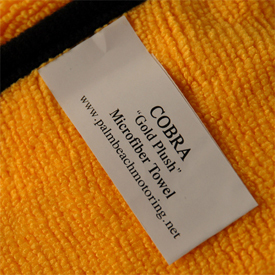 Received the Gold Plush Jr. MicroFiberTowel 6 pack as part of the McKee's 37 Waterless Wash Kit. Love the Waterless Wash! Leaves a nice shine and slick surface. Used as a drying agent, too. Problem is...ALL of the GPJr MFtTowels were at best 14.5" x 16". None were 16" x 16" as promoted. Manufacturing shortcut? Or, an obvious defect not really affecting the practice of a MFT? Spread over millions of towels, that material savings or shorting REALLY adds $$$ to the bottomline for the producer. The client will never notice, right? WRONG!! Other than that...a nice MFT and Kit. 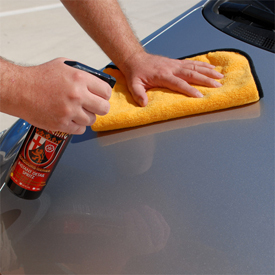 These are great for removing Souvern wax and using for quick detailing. These Microfiber towels are much better then the ones you can purchase at your local Auto store. My new found best towels. absolute favorite. Will be saving for my vehicles only. ProsTagless, soft, 2 sided, thick, nice edge and quality.